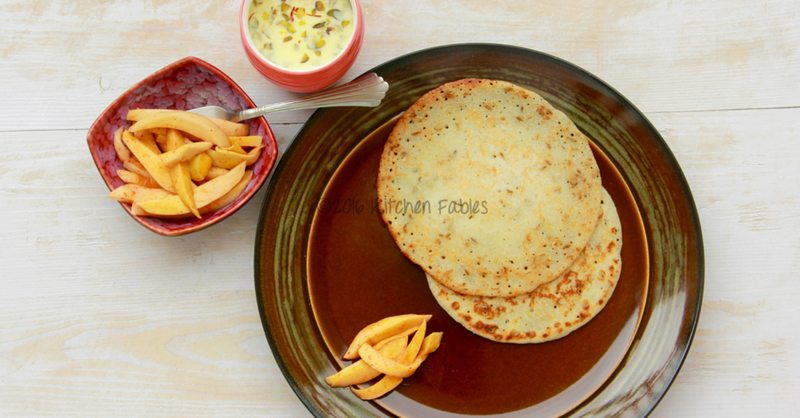 Meethe Poode or Meethe pue as they are sometimes called are the Punjabi version of pan cakes. In each cuisine you will find dishes that are similar and adapted to local taste. I have very fond memories of eating the meethe poode made my by grand mother. She was old and frail but would make these very patiently. My eldest aunt also liked it and whenever she would come we would make it, especially when it rains. Cold breeze, heavy rains, hot cups of tea, meethe poode and listening to stories of my Bhuji ( Father’s sister is addressed as Bhua, with respect we add “Ji”- Bhua Ji with love becomes Bhuji), one of the most treasured memories of my childhood. There is also a festival called Ahoi Ashtami, which is for the well being of children. 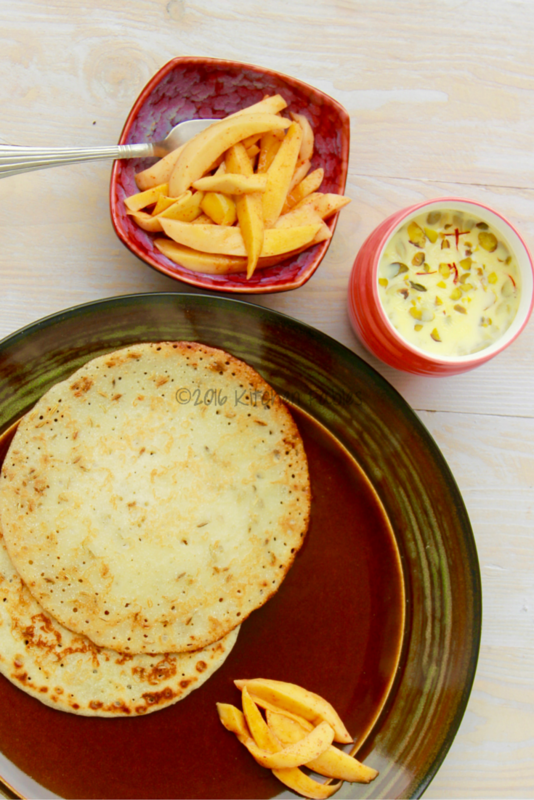 For Ahoi mothers make meethe poode and serve it with sooji ka halwa. In the evening after the pooja, as a ritual, we were supposed to knock on our front door and mom would call us in and give a bite size pooda and a small spoon of halwa. This is repeated seven times. 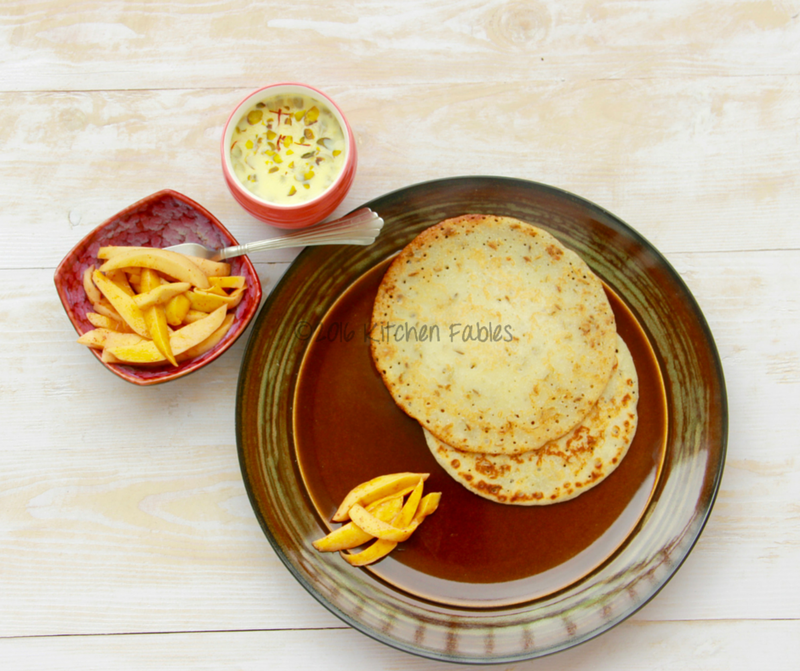 Unlike pan cakes that are served with Fruits , Jam or Honey , Meetha Pooda goes very well with mango pickle, especially heeng ka achaar. It is mostly served as a breakfast or evening snack. 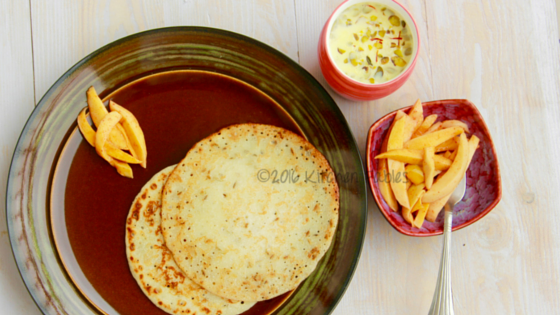 Meethe poode are also pan fried or deep fried. I prefer to make it with the least oil so just add half a spoon of ghee. Add all the other ingredient except oil/ ghee and mix well. Beat it for 2-3 minutes, into a free flowing batter, not too runny though. Heat a non stick pan and pour 1/4 cup batter at a time and spread evenly. Serve with pickle and hot tea or milk. If you like the recipe please show your support by hitting the little heart below and if you would like to be notified whenever I post a new recipe please follow me. Love your story additions to the recipe – about little known festivals, family bondings. Your writings are simple and so much warmth… keep it up girl! Thanks Sundari , really appreciate !! !